Shopping for My Little Pony Construction Toys? 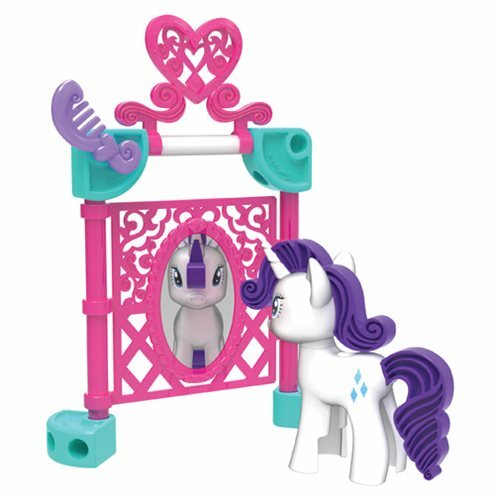 Visit the world of Equestria with this Tinkertoy My Little Pony Rarity Create and Style Vanity Building Set! This building set includes 14 parts and pieces from differently sized spools, rods, spacers, and end caps. Design, construct, and customize this K'NEX My Little Pony Tinkertoy Create and Style Building Set!